Today is Jeremiah Williams Day in Greenville. The day honors the Greenville High School junior who passed away after a spinal cord injury during a football game on November 2nd. Lacey Brozovich works with the Retzer Resources. She says the McDonalds locations the group owns are donating proceeds to Williams’ medical and funeral expenses. She said the tragedy resonates with families. People outside of Greenville are contributing, too. John Rea is the father of a Madison Central player, the team Williams was playing when injured. 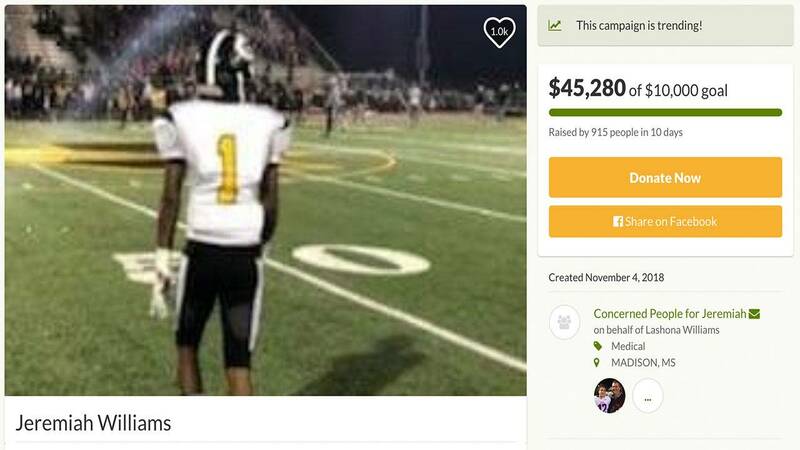 He set up a GoFundMe that has raised four times its original goal. "The farthest one I saw contributing to the fund has been from California, but I’ve seen people from Arizona, California, Colorado, Tennessee — all over the United States contributing to the fund." Jeremiah Williams will be laid to rest Friday in Greenville.